Bomb ingredients and ammunition were also seized by gardaí following separate raids in Cloghran and Tallaght. NINE PEOPLE ARE being questioned in connection with dissident Republican activity this morning, following separate garda raids yesterday in Cloghran, near Dublin Airport, and in Tallaght. Bomb ingredients and ammunition were also seized. The first raid took place at a yard in Cloghran at around 4pm yesterday. 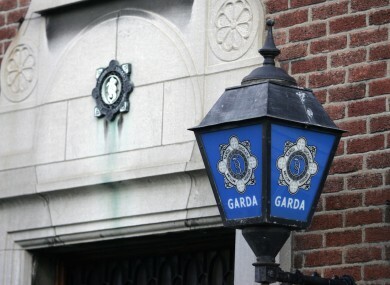 A 46-year-old man was arrested after the search of several containers, and gardaí say the operation also yielded “a quantity of ammunition and component parts of explosive substances”. Officers from the Special Detective Unit and Crime & Security Section later searched a house in the Tallaght area. Eight men – aged from their mid-20s to mid-40s were arrested at the scene on suspicion of being members of an unlawful organisation. The man arrested in Cloghran is being held at Ballymun Garda Station for questioning under Section 30 Offences against the State Act. The eight arrested in Tallaght are being detained at various garda stations in the west of the city, under the provisions of the same act. Email “Nine arrested over dissident activity in two Dublin raids”. Feedback on “Nine arrested over dissident activity in two Dublin raids”.